I've been teaching and coaching people since 2001 and have a wealth of experience and strategies under my belt. I'm a life long learner and love to pass on my knowledge in a step by step, easy to understand way. I'm also extremely empathetic to student's needs. In June 2014 I completed a BA (Hons) degree in Professional Musicianship (songwriting) at the Brighton Institute of Modern Music (BIMM) where I achieved a FIRST. In Sept 2017 I became a qualified Rapid Transformational Therapist which is a form of hypnotherapy, helping people to use their mind to overcome blocks. After practicing beauty and holistic therapies for 6 years I become unfulfilled and so decided to follow my calling as a singer songwriter (inspired by the Spice Girls!). Alongside my beauty and health career I would collaborate and write songs with my partner which gave me a taster for a life in music. All my life I’d sung, thanks to a healthy upbringing where singing was celebrated and so got picked for lead parts in school plays and concerts. I was also in The South London Singers Choral Society for a while which gave me a good grounding in sight singing and close harmony work. In the year 2001 I went to Vocaltech Vocal School and completed a certificate in Popular Music Performance and graduated with the accolade Performer of The Year. Since then I’ve been teaching, training, performing and writing in various projects around the world and in 2010 became a CoreSinging(TM) Instructor. This is a wonderful approach which encapsulates the imagination and uncovers the true voice/performer/person. I have also completed Singing and The Actor training, Advanced Singing and the Actor and Junior Voices with Vocal Process. In addition I am always developing and exploring my own voice by attending singing lessons with world renowned voice coaches. As of June 2017 I began training in the world renowned hypnosis method Rapid Transformational Therapy in order to help students overcome mental blocks around their voices. In 2004 I co-wrote my first album, The Essence of Solitude with James Knight who has worked with Kirsty Macoll. In 2008 I wrote and co-produced my second album "Earth, meet Heaven!" with Alan Lowles who has worked with I Am Kloot, The Courteenas and Thea Gilmore. Both can be found on ITunes and Spotify or purchased from me directly. Since then I've been collaborating with many people to produce varying styles of music from rock to pop. 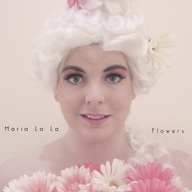 In 2014 I wrote, produced and engineered 2 EP's for Brighton's diva Maria La La. The first one called, 'Dangerously Does It' and the second called 'Flowers'. Click the pictures to listen. 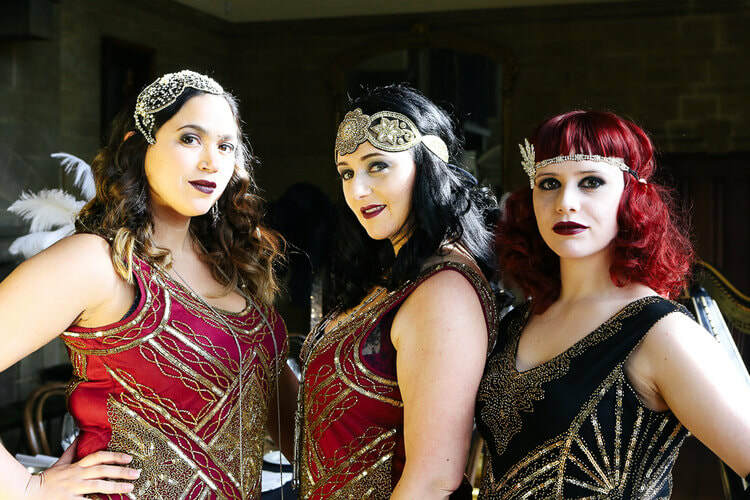 In 2016 I created and masterminded a sassy close harmony vintage swing trio called BLAKER AND THE BOMBSHELLS. We sing songs from the war time era through to modern day.